Mp3Doctor PRO 2 is Ready to Download!! Its not an update of Mp3Doctor PRO, its really a new product. How to improve, normalize, raise, increase or boost the volume of an mp3? How to improve, raise, increase or boost the volume of an mp3? That’s the question that most visitors have come to this site and hoping that the Mp3Doctor is the answer … and it is. You can download the software trial version and test it to verify how good rises, rises, rises, promotes and standardizes the collection of mp3s. Besides this option, the Mp3Doctor PRO offers equalization, modification of the pitch or tempo. Normalize is simple, you simply carcar mp3 file (or archiuvos, as well the program performs batch normalize) and press a button only, so simple. With that simple action you managed to standardize one (or as many as you want to batch normalize) their mp3s. The software automatically performs the calculations for you and manages to give the best possible volume for each mp3. It is not necessary to compare with other mp3. Mp3Doctor pro calculates how to optimize the gain level of the mp3. Another function offered by elk Mp3Doctor PRO is to equalize their mp3s to give them color, brightness, hue … in short, left perfect. The function to equalize the preset Mp3Doctor defcenas brings all types of equalizer, but you can also create their own. The important thing is to achieve enhance your mp3s to leave them with a maximum of quality. The mp3s sound much better with a higher quality if you give them a good EQ. Think that no radio station in the world or any DJ who do not use the EQ. Changing the pitch of mp3 without altering the tempo at all is very useful. Used to hold a clue to the tone that you can sing. But it also serves to “tweak” the voice of some singers (run mnedio more serious tone of voice of any male singer and see the improvement). Finally, change the pitch has many uses and is a very interesting and powerful function. In the same area is also the option to change the tempo (without affecting the pitch) which allow the varantes hacver very interesting songs that you choose, surprising everyone or match the tempo of mp3s for later use them to blends dance, ls possibilities are endless and very powerful too. Mp3Doctor PRO, besides being the normalizer mjejor mpo3s there, offers a range of other tools for you to improve your mp3s. The most powerful solution for increase / repair / / correct all the audio volume of all the major formats are ready to download now. Never before a software was capable of doing all this with such a great quality. When began the massive computing era, back in the 1990s, the available hard disk space was meager. Also the data transmission capacity was very limited, we all remember those old connections operating at very low speeds. The most modern modemos in 1995 ran at 28.8 Kbps, and we felt that broke the sound barrier. This originated it was very difficult to manage an audio file in the standard format that was the wav, because of its size. A wav file extracted from a CD, is high quality sound, but that is why, occupy much disk space, and as we remember lines above, nothing over us disk space … and on the other hand, try to give someone or download one of these wavs take hours to get into the 90s. Then there arose the mp3. A format that "lost" some information, say discard certain information, which is not audible and allows us to greatly reduce (about 10 times) the size of a music file in wav format. Sure, there are a lot of settings that can be changed on an mp3, which helps reduce ua more, but often generates quality is lost. So if, at the end of the day, we have hundreds or thousands of mp3s that have been encoded with very different settings, we MP3s that sound different, even with a different volume well and that's a problem. But back to talk about and remember as mp3 this revolutionized everything, because the moment was possible to extract music from CDs and have it on your computer, including programs emerged that allowed the exchange of these mp3s such as Napster, which the time people could grow their MP3 collection significantly. Eventually emerged other formats and even try to create different mp3s, but none had the strength he had had the mp3. By now it is also used massively mp4, but this is not an improvement of mp3, it is a file that additionally contains video, contains not only audio, however, the mp3 is a format containing only audio. When everyone started using massively computers back in the 90s, also immediately they began downloading digital files for playback. First is unloaded from the CDs themselves, extracting the files to the computer, programs who performed the grabbing. But it was not advisable to use wav for its huge size, as the hard drives were small capacity files and download time on the Web tambein was huge, since the transfer rate was very low at that time, so the mp3 lived splendor. But … download files from many different sources at once showed a problem: mp3 sounded different volume levels. To correct arose many options, most very ingenuas, but worked well for that time. But no longer they work for the present, because now we have many different choose, from phones, tablets, etc. to listen to digital music and ability in audio quality is much higher today. Therefore, the best option is actualkmente Mp3Doctor PRO2, by using the most advanced technology, the quality suitable to be used at this time and with modern equipment. Moreover, it not limited to mp3 but can normalize the volume of many formats, the most important. 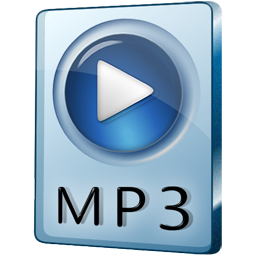 In short, if it's getting louder mp3 (or any other format) with advanced quality, the option is Mp3Doctor PRO2. mp3 Gain alternative – MP3Doctor – Mp3Gain 2015. Software called mp3gain was a major breakthrough a decade ago. Today, with all theemergence of new devices, no longer offers the utility used to have. Neither the right quality for this era. So the current option is the MP3Doctor PRO2, which besides normalize the audio volumeof your mp3s does the same with many other formats that are used today day like ogg, flac and many other formats. There are some free programs, but none comes close to the quality that the MP3DoctorPRO2 offers. Download trial version you, for you to try on your own computer this great quality, which isthe same as that obtained in major music concerts in stadiums, when a group offers a recital of music and need the columen all its instruments and voices be heard properly and with quality. This quality is usually obtained with single, beloved teams like compressors and limiters,is what MP3Doctor PRO2 put in your hand for a few dollars. No longer will need to manually adjust the volume knob or miss some instruments or voices, now hear everything with high quality. You may in addition, resample your music, as well as change the pitch without affectingthe speed and vice versa. No other software offers this quality. Normalize the volume of the audio is something that is more cimplocado than it first appears . Especially in the acualidad where there a lot of devices to listen to music , so the solution to normalize the audio volume should be functional for all these playback devices . Some years ago, it looked like the replay gain could be a solution, but the time finally showed that it was not so . Why, for example, did not work with all players and also generated many times that music with a less intense sound volume, etc. . So the current solution is the MP3Doctor PRO2 , really normalize all the audio digital music file . No matter what kind of player you used, nor will make the music sound at a lower volume. MP3Doctor PRO 2 is able to normalize the audio in a variety of formats , not just mp3.And it really does all sound the same loudness as his best and most optimal volume level. MP3Doctor PRO 2 is a huge advance in the normalization of volume , is something suitable for this 2014 and 2015, it is the most current in normalizers and with better results in the normalization of audio. You can download the trial version and see for yourself its amazing results. In this year of 2014 one audio normalizer (not just in formaqto mp3 file, but other formats) that can offer quality and versatility at this time where there are multiple playback devices, from smart phones, portable players needed , netbooks, tablets, etc.. It is there where MP3Doctor PRO2 fills a gap that existed for people looking to make the volume of digital music files have the same loudness. But achieving this based on modern algorithms that truly offer quality needed for this season. MP3Doctor PRO2 is the most complete normalizer that exists today and the only (along with Mp4Gain alternative product created by our own company) that you can really deliver the required quality. MP3Doctor PRO2 analyzes each of the samples containing a file that is 44,100 per second, ie, about 7 or 8 million in 3 minutes. And each of these frames is optimized to achieve the ideal level of volume, which achieves a complete song that has each of its parts to the ideal loudness, second by second, in each of their frequencies. MP3Doctor PRO 2 is really step into the future of audio. After dedicating many years to develop specialized software in the normalization volume mps files, we have developed a new product: MP3Doctor PRO 2, which can normalize audio in many formats, the most popular and used. All this, following the normalization of high quality audio gain that we have developed over the years. We have achieved a different level normalized to different instruments, voices or sounds of the same recording. That is, in the same passage of music, we can normalize or make boost, at a different level, various instruments, voices or sounds. Even you, using the Equalizer software available, you can also potentiate different sounds differently. That is, we have taken the normalization to a different level than had been achieved so far, achieving results that no other software can offer.